Natalia Reagan ’08 (Anthropology), M.A. 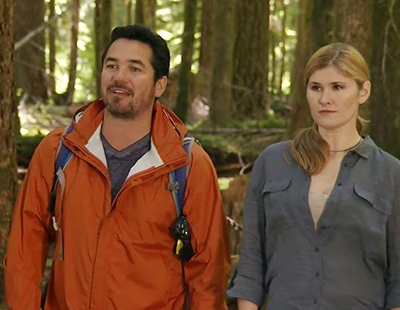 ’11 (Anthropology) served as the field expert on the SpikeTV show “10 Million Dollar Bigfoot Bounty.” She and co-host Dean Cain guided teams on the hunt for the mythical Bigfoot. Read more about Reagan’s work. Acclaimed actor, director and producer Robert Townsend will explore the power that filmmaking has on the “commerce of creativity” during a lecture, titled “Trusting Your Instincts.” Read more about the lecture. A group of 250 students from local high schools competed in the American Society of Civil Engineers’ 20th Annual Popsicle Stick Bridge Competition. The goal of each entry was to build the strongest bridge using popsicle sticks. Read more about the competition. Thu., Feb. 27, 6 p.m. Thu., Feb. 27, 7 p.m.
Join the Office of Community Engagement as they welcome community partners, faculty and staff to learn more about service learning and community service projects at CSUN. Do you know stock market basics? Have you ever dreamed of retiring early or being able to retire at all? Do you know that you should invest, but you are not quite sure where to start? Get answers to questions during a live interactive webinar. CSUN celebrates the year of the horse with the annual Chinese New Year’s banquet, featuring a taekwondo demonstration from Chinese Olympic Gold Medalist Jingyu Wu, who is taking classes at CSUN this semester.